FORT DETRICK, Md. — By the time word reached the U.S. Navy, the situation was dire. A man was dying. At most, he had a few weeks left. There was an experimental treatment that might help — and one of the biggest stashes in the country was kept here, behind the checkpoints of a military base, in a lab directed by Lt. Commander Theron Hamilton. The patient’s family desperately wanted a few vials, but the Navy had never tested the stuff on people. What if it caused more harm than good? Would the Navy be liable? But what was a little liability when weighed against a human life? Just thinking about it made Hamilton’s adrenaline surge. He was both an officer and a researcher — a chemist in camouflage and boots — and one of his duties at the Biological Defense Research Directorate was to oversee incremental lab work, preparing the country for disasters to come. Now, on that day in March of 2016, he found himself confronting an emergency so immediate that even the briefest of delays could prove lethal. What was being requested was a sample from the Navy’s collection of viruses. The word virus, to most of us, implies disease, but in this case the Navy wasn’t stockpiling pathogens. Instead, these viruses were potential cures. 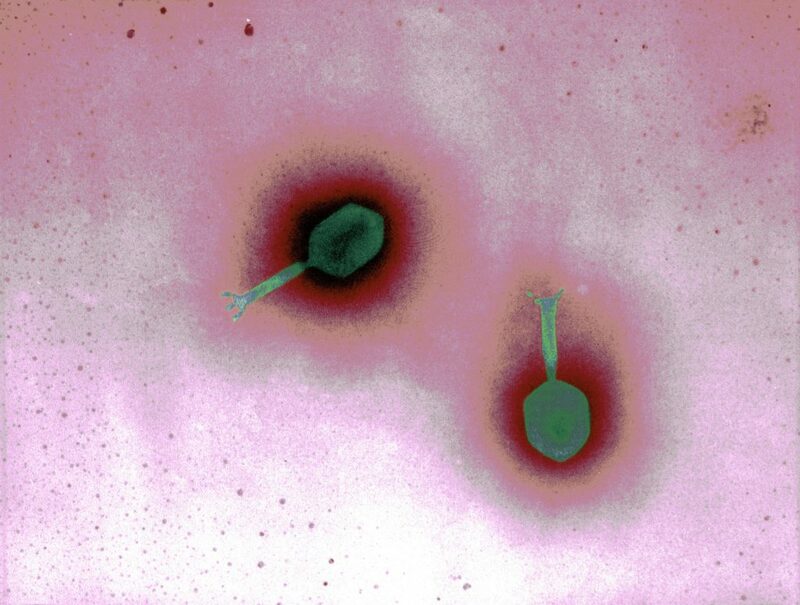 Called bacteriophages — literally, eaters of bacteria — they could inject themselves inside germs, reproduce like crazy, and cause the buggers to explode. To the military, that image was alluring. Bacteriophage therapy had long been abandoned in the U.S., but as more and more antibiotics had stopped working, biodefense experts, Navy doctors — and just about anyone else with a stake in protecting human health — were wondering about other treatments. And these viruses, it seemed, could pop bacteria the way middle schoolers pop zits. So sailors began scooping them from seawater and sewage, sending their samples back to a lab freezer at Fort Detrick. They’d been quietly amassing the viruses for years when word came that a doctor in California needed some of the Navy’s phages as a last, experimental shot at saving a man’s life. He was a civilian, a psychiatry professor named Tom Patterson. He’d fallen ill in Egypt, been flown to Germany, and now lay in La Jolla, his body kept alive — if just barely — by the gizmos of the ICU. The bacteria swarming inside him seemed invincible. Nothing in the antibiotic arsenal had worked. 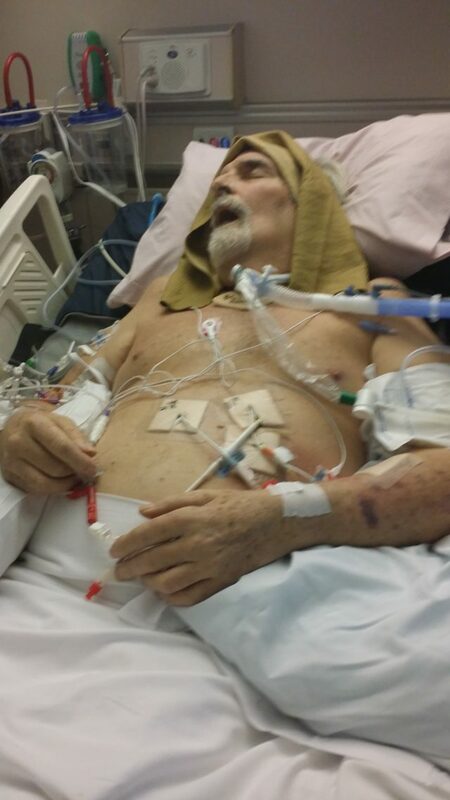 Machines inflated his lungs, pushing air through a hole in his neck. His belly was distended, pierced with tubes, so the brownish, bacterial-clouded liquid would have a place to go. “He looked like a living skeleton,” said his wife, Steffanie Strathdee, associate dean of global health sciences at the University of California, San Diego. When a devout friend came to visit and saw Patterson’s face sunken, his jaw slack, she couldn’t help but think of Jesus, suffering on the cross. Then again, was it wrong to withhold it? Finally, the officers reached a compromise — a lawyer-backed loophole. They would provide the viruses “for research purposes only.” As Hamilton put it, “We were willing to send it, but we weren’t the ones pushing the plunger.” An agreement was drafted, and notification sent up the ranks — from commanding officer to admiral, deputy surgeon general to surgeon general — until it reached the vice chief of naval operations himself. Then the nonstop lab work began. On Thursday, March 17, the Navy’s viruses landed in California, and were soon pumped into Patterson’s veins. That Saturday night, for the first time in weeks, he awoke. As exciting as it was — a father, a husband, a pioneering researcher brought back to life — the good news posed another problem for the Navy. Drug-resistant infections were killing at least 23,000 Americans a year. The Navy had a cache of vials that might help. But these military microbiologists couldn’t start handing out viruses like candy on Halloween. They needed someone who could turn them into drugs. They couldn’t know it then, but they were about to jump-start a virus-selling family business, with a former race-car driver as CEO. When he got the call, Dr. Carl Merril was busy filling his remaining time on earth with whatever he damn well pleased. It was an enviable position, unattainable to most. He was nearing 80. His gait might’ve been a bit shuffly, but his mind was quick. He was a grandfather with the mischievous twinkle of a little kid, and the insatiable curiosity to match. If his government scientist’s pension left room for any financial worries, they were soothed by his stock market hobby. The secret to his success, he joked, was his keeping of sheepdogs; one was so smart he named it after a brilliant, deceased relative. 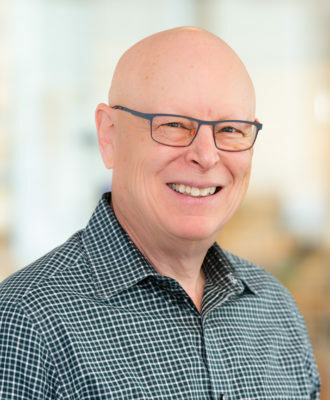 Merril’s departure from the National Institutes of Health had not been on his own terms — he was still angry about that, 10 years later — but he’d mostly moved on. “Einstein, when he couldn’t get a job, started a group called the Olympia Academy,” he said. “So I started a group.” Like Einstein’s, Merril’s would congregate to discuss the intersection of physics and philosophy; unlike Einstein’s, his cohort mostly knew each other through the Cosmos Club, an old Embassy Row hangout of the D.C. elite, where men can’t dine without a coat and tie, and which has counted more Nobel laureates as members than most of us have heard of. A few of the group’s members died: various cancers, heart valves giving in. But Merril soldiered on. He and his wife enjoyed their Tudor-style house. “Not a giant house,” he said, “but … more than an average house. It has nine bathrooms. It’s bigger than anything I ever imagined I’d live in.” He took online courses. He worked on Fermi’s paradox. He wrote book chapters, gave talks when asked. He tried to get his grandkids interested in model trains and airplanes and the expansion of the universe. He was the kind of guy who drove an Alfa Romeo while wearing a floppy hat. Much of that — the sports cars, the toy spitfires — had been a distraction, a way to get his mind off the trouble phages had caused him. 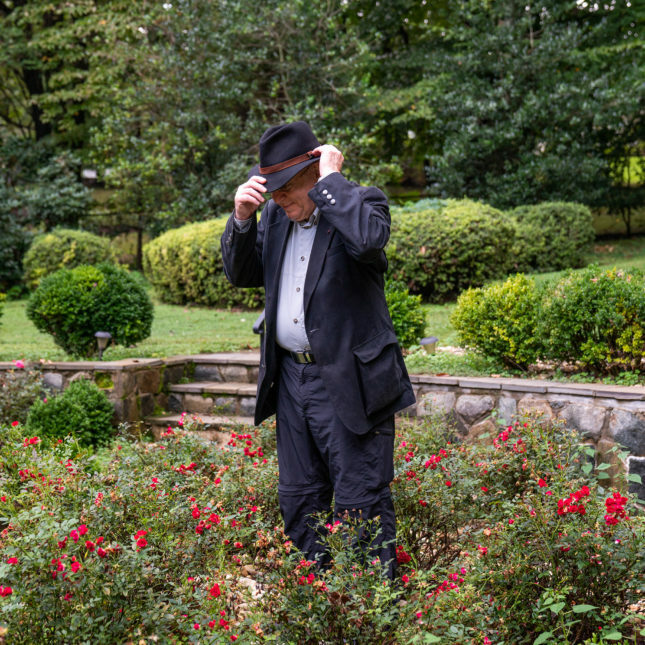 He’d spent five decades unraveling their viral quirks, with the hope of using them to treat humans — an idea controversial enough for him to be both celebrated and critiqued. Look at his memorabilia, and you’d see a distinguished career: Studies published in the most prestigious journals, research covered on the front page of the New York Times. He even had a display case of medals he got from successive surgeon generals. What remained sharpest in his memory, though, was not all that recognition, but the ridicule he felt from skeptical colleagues. Just thinking about it could drag him into one of his dark moods. So when Patterson emerged, Lazarus-like, from his coma, thanks to an injection of phages, it was one of the best days of Merril’s career — even though his career was, for all intents and purposes, behind him. It wasn’t just that the doctors had relied on his ideas; he’d also been consulted about Patterson’s case. Now, someone from the Navy was on the phone. What did Merril think about starting a phage therapy company, using the lab’s collection of viruses? He’d had a brief flirtation with biotech, awhile back, and he knew he had no real interest in business. But how could he say no? Phages are fickle things, and Merril knew, better than almost anyone, how tricky they could be to work with. They’re ubiquitous but hard to find, inert but also alive, lifesaving in some circumstances but deadly in others. Some look like the tiniest of spiders, with an orb that might be mistaken for a body and bacteria-grabbing fibers that might be mistaken for legs. Behaviorally, though, they’re more parasites than predators, less the tarantula than the wasp laying an egg in its flesh. Researchers estimate there are a trillion phages for every grain of sand on earth. In terms of numbers, that’s a 10 with 31 zeros behind it — a figure so unimaginable it’s almost meaningless. Suffice it to say that they’re everywhere, teeming in every droplet of ocean, wriggling around our bodies by the billions. That’s both a blessing and a curse. In co-evolving so intimately with bacteria, they became extreme specialists, each one picky enough to parasitize only very specific strains. A world crawling with phages doesn’t always make it easy to find the right one. Viruses were once famously described as leading “a kind of borrowed life,” and phages are no exception. 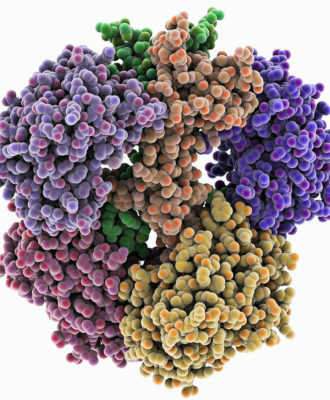 Outside of bacteria, they’re hardly alive, each one just a swirl of DNA in a protein coat, little more than a molecular blot. It’s only once they get their fibers onto a host and inject themselves that their metabolic engines rev to a start. Some of them then immediately set about copying their own genetic material. “You’re staring at a bacterial cell and suddenly it blows up,” said Ryland Young, a professor at Texas A&M, whose lab also sent phages to Tom Patterson. That explosion is the result of a well-orchestrated heist: A phage enters, reproduces, and then breaks out as if regulated by an inner stopwatch. The species Young studies, for instance, reliably detonates precisely 50 minutes after infecting a cell. If it errs, it’s only by a minute or two. “I had four kids and none of them could keep time as well as a bacteriophage,” he said. If, like Merril, you’re hoping to use these viruses as treatments, there’s a catch. Not all of them are as predictably violent. Instead of blowing up bacteria right off the bat, some might first slip inside the genome and take it for a joyride. For a patient, that’s a problem — a bacteria-killer that occasionally prefers just to toy with them, like a cat tormenting a mouse. Sometimes, the virus even enhances its host, borrowing life and lending out virulent genes in return. Such transactions gave us diphtheria: The bacteria that cause the disease produce toxins because of genetic bits encoded by a phage. As Merril is fond of pointing out, that means that phages may be responsible for decimating New England’s children, in the Great Throat Distemper of 1735. By loaning toxin genes to E. coli, they’ve also given us some of our bloodiest forms of food poisoning. As the patients’ bloody diarrhea subsided, the heyday of phage therapy began. 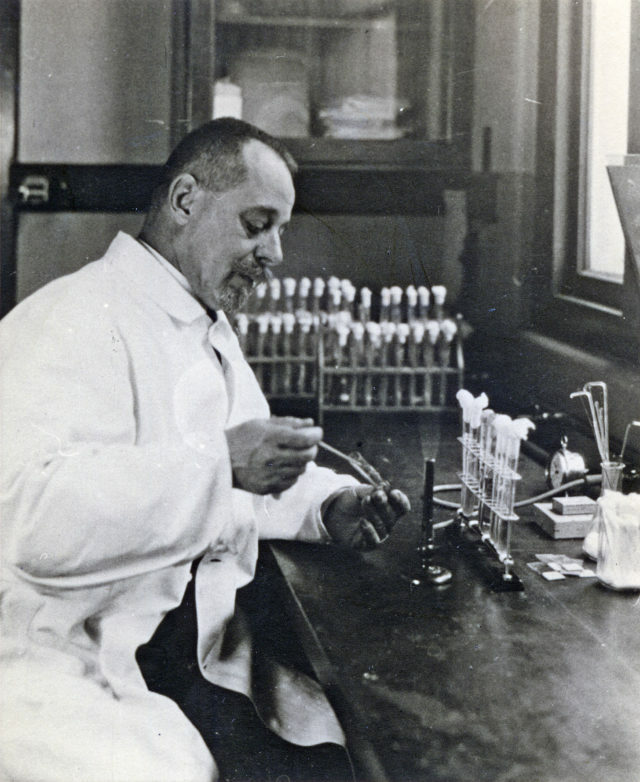 D’Herelle isolated viruses from rat feces, and injected them into travelers who’d contracted bubonic plague. By the early ’30s, British colonels were praising them. Brazilian epidemiologists were clamoring for them. American companies, being American, gave them names like “Stepto-jel” and started selling them. But not long after, d’Herelle left Yale and wound up in the Soviet Union, where he would help run an institute with the blessings of Stalin himself. In 1934, two years before Merril’s birth, the American Medical Association reviewed the phage therapy literature, and concluded that reports on phage therapy’s efficacy were contradictory at best. By the time he reached toddlerhood, research on the subject was rare. By the time he hit school, penicillin had conquered the bacteria-killing market. By the time he was an adult, phage therapy was, in the words of historian and microbiologist William Summers, “commie science.” Which meant Americans hardly considered it science at all. That, in 2016, the U.S. Navy wanted to commercialize century-old “commie science” was perhaps a testament to just how alarming antibiotic resistance had become. The irony was that as a young man, Merril hadn’t wanted to treat anyone with anything. He’d wanted to be a physicist. It was his parents who insisted he become a physician. They remembered the misery of the depression. They said no one would pay for research about the universe. He wasn’t happy at home. His father, an oral surgeon, hardly ever spoke to him. What saved him, he says, was summertime, when he’d take the train to see his grandparents on Long Island. They were immigrants — one from Hungary, the other from Russia — who’d kept their tastes for layered pastry and for early childhood education about advanced math. To Merril, it was a kind of Old World escape. His grandmother rolled out dough on a table white with flour. His grandfather taught Merril equations, gave him books that showed the world to be more numerically complex than it seemed. That was where his obsessions with physics and automobiles began, and much later, when his work would be sneered at, they would become his refuge, a Long Island of the mind. By the time he discovered phages — coincidentally, also on Long Island, at a Cold Spring Harbor summer program for scientists in 1965 — they had disappeared from American clinics but become rising stars in microbiology labs, where they were tools to probe questions about the nature of life. Suggesting they be used as therapy was like proposing to give patients pills full of freeze-dried lab mouse. Still, Merril couldn’t help but wonder. “There were two questions I asked during the course which annoyed people, because it really wasn’t the purpose of the course,” he said. 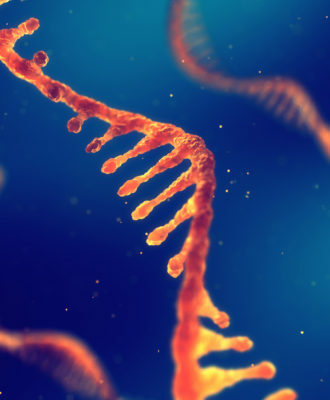 “One was: Why aren’t we using these viruses to treat infectious diseases? And the second question was: How do we know these viruses don’t affect us, directly?” His instructors blew him off, so he took his questions back to his day job, at the National Institute of Mental Health. That’s when the trouble began. He injected phages into lab animals. He tinkered with them in lab dishes. He ended up reporting that phages could carry genes from bacteria into human cells — at once a promising avenue for treating genetic disorders, and a warning that these viruses might be dangerous for us. In 1971, the discovery landed him a study in Nature, and a spot, alongside Nixon, on the front page of the New York Times. Meanwhile, after confirming Merril’s claim, FDA scientists were busy reviewing regulations about contaminants in vaccines. They inoculated rhesus monkeys with phages, to check for any adverse events. They watched them for years, testing their tissues and fluids for signs of virus. 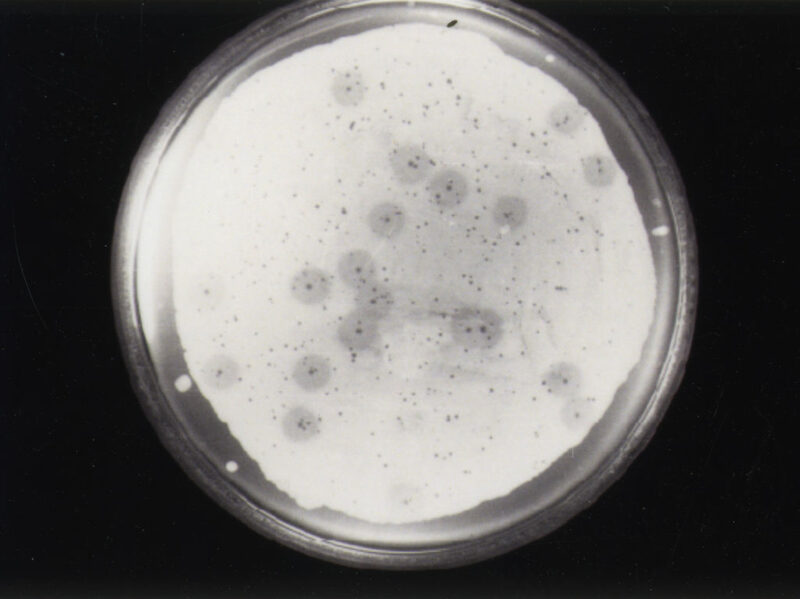 But the phages were gone in less than two weeks, and hadn’t caused any health troubles. As much anguish as it caused him, the controversy gave Merril something that would ultimately prove useful: Evidence, from government regulators themselves, that injecting certain phages into the body could, in some circumstances, be safe. Just as he attributes his investment strategy to his sheepdogs, his sanity to his sports cars, and his scientific impulse to Long Island, Merril claims that distraction and leisure led to his restitution at the NIH. 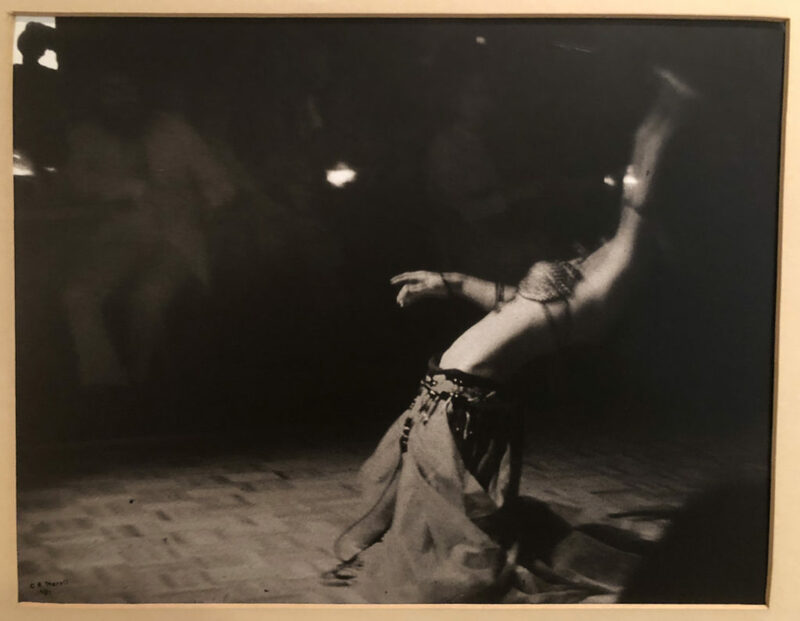 This time, it was his black-and-white photography of belly dancers in Middle Eastern cafés. He didn’t end up using his technique to show phages carried bacterial genes into mammalian cells. Rather, he turned back to injecting phages into mammals themselves — with a postdoc who’d worked more closely with animals than just about anyone. His name was Biswajit Biswas, and he’d come from a family of veterinarians: Both his father and his brother had cared for the sick at a Kolkata zoo, healing abscessed lions and bedraggled giraffes. He’d been in practice himself, in a village outside the city. Perhaps his most memorable patient was a water buffalo with a prolapsed uterus — it hung outside the animal, swollen and red, an organ turned into an excruciating balloon. “I was a new doctor, just graduated. This farmer was crying, saying, ‘Doctor, save my buffalo,’” Biswas recalled. Diuretics would help, but he had none. So the clinic’s compounder issued a strange prescription: a kilogram of sugar, dusted on the prolapse. Biswas watched, amazed, as the granules sucked out the excess fluid and the organ began to shrink. That was the kind of ingenuity Merril and Biswas needed to apply to phage therapy. They’d both become alarmed about rising levels of antibiotic resistance — the vet worrying about the drugs being wantonly poured into livestock feed, the doctor fretting about infections becoming harder to treat. Now, in the hope that phages might help in the face of failing medications, they set out to keep them in the bloodstream for longer, so the viruses wouldn’t be immediately filtered out by the liver and spleen. They began evolutionarily tweaking them, selecting those phages that could best survive the perils of a rodent’s body and re-injecting them again and again. The result was a kind of mutant super-phage, which could stick around long enough to blow up bacteria. They named the new virus after Jason and the Argonauts. When they ran an experiment in E. coli-infected mice, those that got the swashbuckling phages all survived, and showed fewer signs of illness than those that got the Argo-phages’ unadapted relatives. The mice that got no phages all died. Like classical texts rediscovered by medieval scholars, those tests would pave the way for a Renaissance of sorts — a time when phage therapy would be dusted off and re-examined with a newfound rigor. But that wasn’t what the NIH had in mind for its researchers. 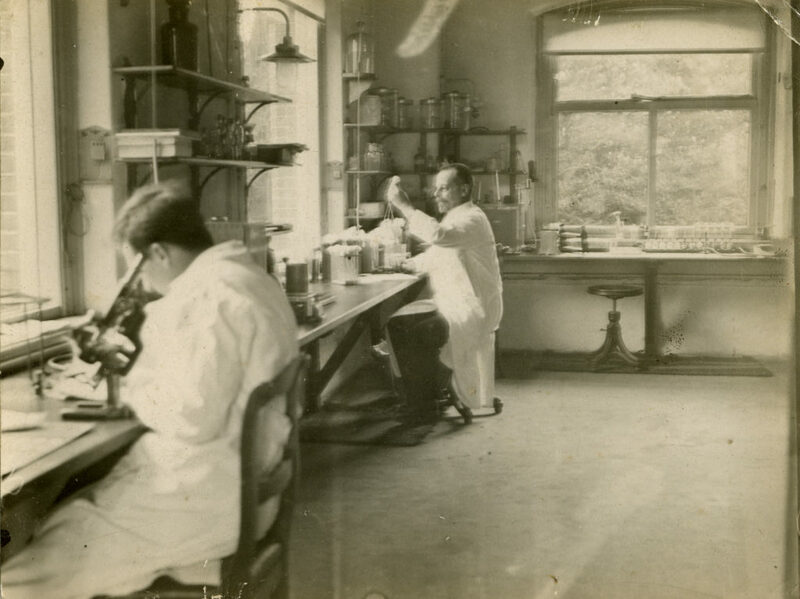 When Merril had first arrived, it was, as Martin lovingly described it, a den for “oddballs” and “misfits” who wanted to be at the lab bench 100 percent of the time. No matter your institute, you could hole up and work on almost any problem in basic science. 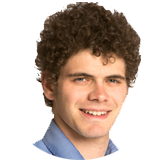 “They hired him to be almost a scientist-philosopher,” said Young, the professor at Texas A&M. By the cash-strapped aughts, though, science-philosophers were decidedly out of vogue. Although interest was starting to percolate again in the U.S., phage therapy was still a fringe topic. If it was eccentric in infectious disease circles, at the National Institute of Mental Health, it would have been almost extraterrestrial. 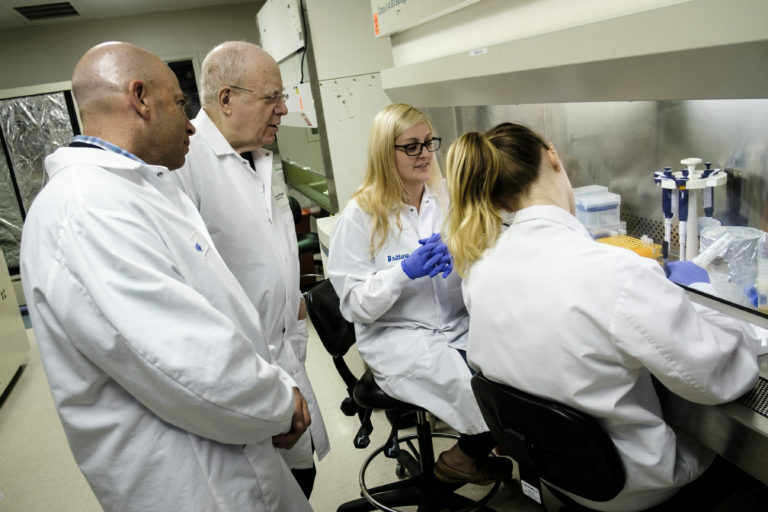 “When administrators don’t like whatever you’re doing — whether it’s good science or bad science — they always find an excuse to take away your funding,” said Sankar Adhya, a longtime collaborator of Merril’s, who works at the National Cancer Institute. Merril probably could’ve taken a job in administration, but he couldn’t stomach the idea. 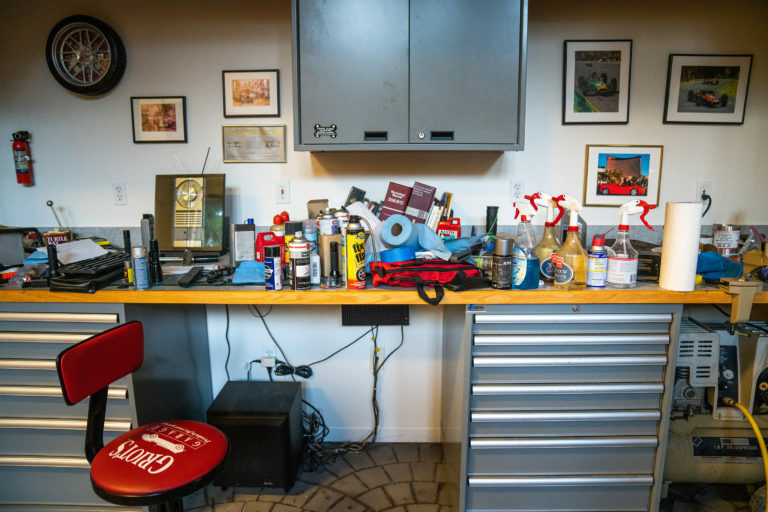 A high-powered committee recommended his lab be shut down in 2005. Both Merril and Biswas took advantage of the tiny flicker of commercial interest in phage therapy, and got involved in companies. But selling viruses was hard. Some companies went bust. Others shifted away from live phages as therapy. Entrepreneurship didn’t suit Merril, and he drifted toward retirement, happy to escape without losing too much. Biswas, meanwhile, drifted toward a job with the Navy. Biswas began with anthrax. The bacteria in question are hearty spore-formers, almost synonymous with bioterrorism, and they seemed like a good place for his military research to start. Anthrax-killing phages became his guinea pigs, the everyday viruses with which he perfected new techniques. The armed forces also had other targets in mind, though. Among them were the multidrug-resistant infections festering in the wounds of American troops in Iraq, so common the culprit was nicknamed “Iraqibacter.” It was the same bug that would nearly wipe out Tom Patterson, and as with so many others, the overuse of antibiotics meant it had evolved to withstand them, rendering useless the 20th century’s miracle drugs. Soon, Navy ships began picking up possible alternatives at their ports of call. Biswas taught his phage-nabbing technique to Navy personnel in Lima, and while visiting Iquitos, in northeastern Peru, used an empty Coke bottle to scoop up whatever viruses were flowing through the muddy Amazon. A Navy lab in Ghana pitched in, as did an Army lab in Thailand. Commander Michael Stockelmen used a piece of trash to draw some water from the Potomac, while he was out fishing for crappie and bass. Others looked for phages in pigsties and dairy farms. Biswas would seed these samples with bacteria as phage-bait. He’d also rejiggered a lab machine as a rapid phage test. 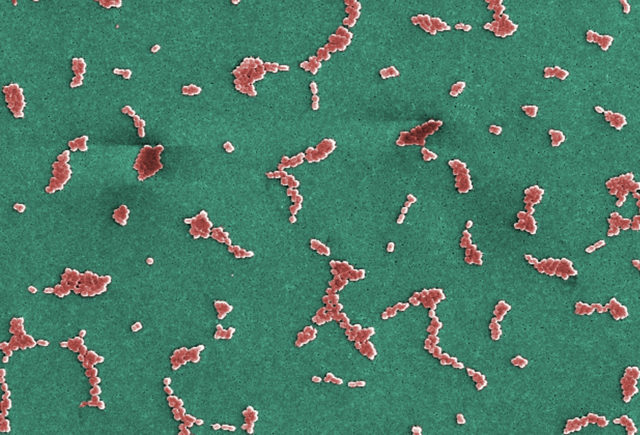 A chemical dye would change colors if the virus had massacred its allotment of microbes. It was only natural, as all this was going on, for Biswas’ team to invite Merril for discussions and talks. In a 2003 paper, Merril had laid out a vision for a viral library not so different from the one the Navy was now building. 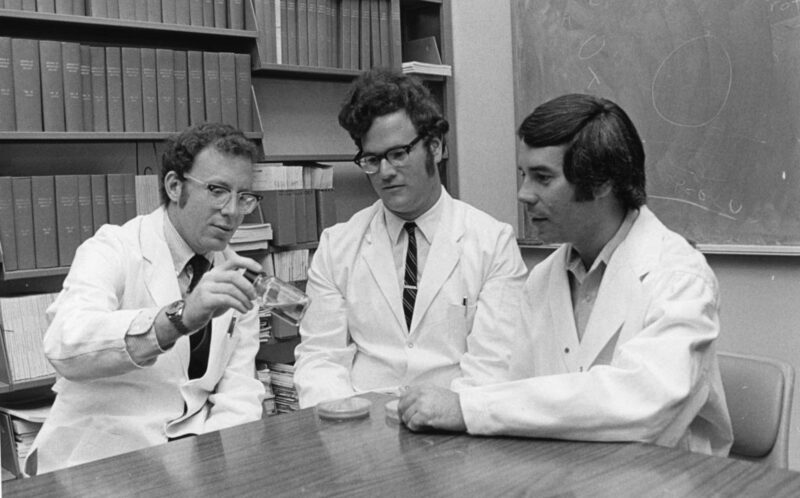 And it was only natural, when permission was given to send Patterson some phages “for research purposes only,” that Biswas would refer the doctors’ questions about administration to Merril; by then, he’d been puzzling over phage therapy, on and off, for 50 years. That’s where the retiree’s expertise ended, though. When the Navy asked companies for proposals to bring Biswas’ phage library to market, Merril knew he needed to work with a businessman he could trust. So he called his youngest son. With an easy laugh and an athlete’s shaved head, Greg Merril seemed like someone who wouldn’t be fazed by anything, let alone a strange business proposition. He knew a thing or two about entrepreneurship, and he didn’t mind a little risk. As young men, he and his older brother founded a computer-simulation company, to teach surgeons the hands-on skills of the operating room, and had made a small fortune when it went public. Greg used his newfound freedom to become a professional racer. He’d inherited his father’s love of sports cars: He remembered his dad talking of heel-and-toe double clutch downshifting while driving to school, and by 2000, he was ready to try those moves himself, on tracks across North America, hitting the apex and then accelerating out of a turn, matching RPMs, setting up every pass. His team ended on the podium at Daytona’s 24-hour race — the Super Bowl of sports cars — and all through the next year you could watch his Porsche’s progress on Speed Channel. 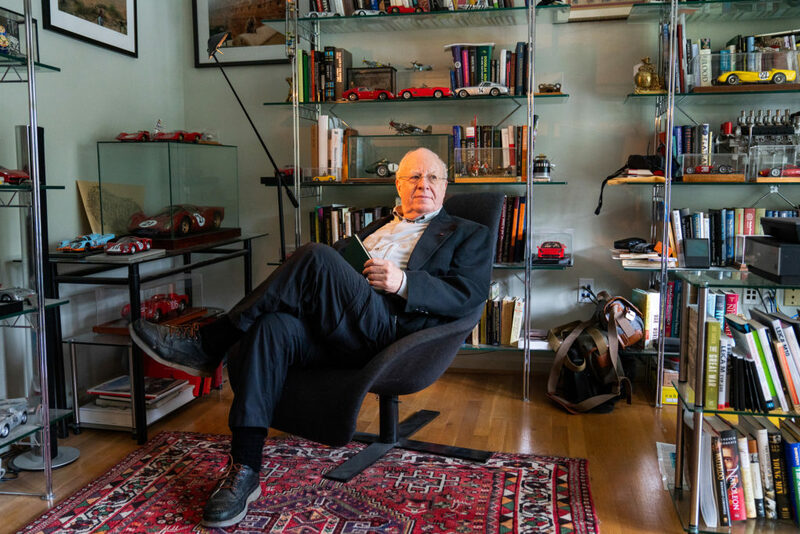 Even for Carl Merril — who’d seen sports cars as a refuge, who’d sold Greg his first Porsche — the thrill of watching your son hurtling through space at nearly 200 miles an hour was tempered with fear. “I had this magical thinking that as long as I’m there, nothing’s going to happen,” he said. He would stay at the track until he was ready to collapse, using every iota of his concentration to will Greg into finishing the race alive. If he has to go into the office, Carl Merril likes to take his Alfa Romeo. It has no power steering, and so can be hard to maneuver out of the garage, but once he’s hit I-270, every pulse of his foot on the gas sends the car surging forward, as if it’s about to lift its nose from the concrete realm of commuters and fly. The destination, by comparison, is nondescript. But down a hallway, through an office, and behind the doors of a lab — here in the drabness of a Gaithersburg office park stands the freezer unit for which Merril has traded in his retirement. “This is the family jewels,” his son said, opening it up to reveal a feathering of ice. These jewels are alive — or as alive as any virus is when it isn’t reproducing inside the cells of a host. The Merrils had won the Navy contract — it came with keys to the virus library, and use of Biswas’ rapid phage test — and since October 2016 have been executives of a company called Adaptive Phage Therapeutics, which now has 21 employees. 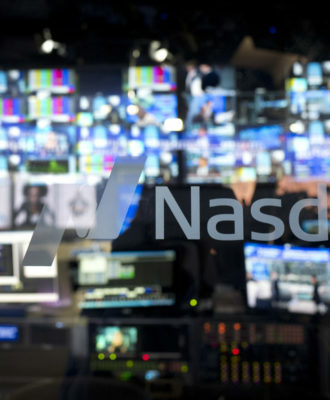 The son had taken the helm, as chief executive officer. The father preferred being chief scientific officer, and besides stock, his work would begin unpaid. The duo is part of a small proliferation of virus-obsessives, bio-entrepreneurs, and Georgian émigrés convinced that now is the time for phage therapy’s second coming in America. There’s now a phage directory, to help doctors figure out which lab has viruses against which bacteria. There’s an official phage therapy center, at the University of California, San Diego, co-directed by Patterson’s phage-finding dream team: His physician, Dr. Robert Schooley, and his wife, Steffanie Strathdee. There are companies testing isolated phage proteins as drugs, companies spraying kosher and halal phages onto food, companies pre-mixing phage cocktails as grab-and-go infection treatments. But the kind of bulletproof evidence that would bring phages into the medical mainstream remains slim. 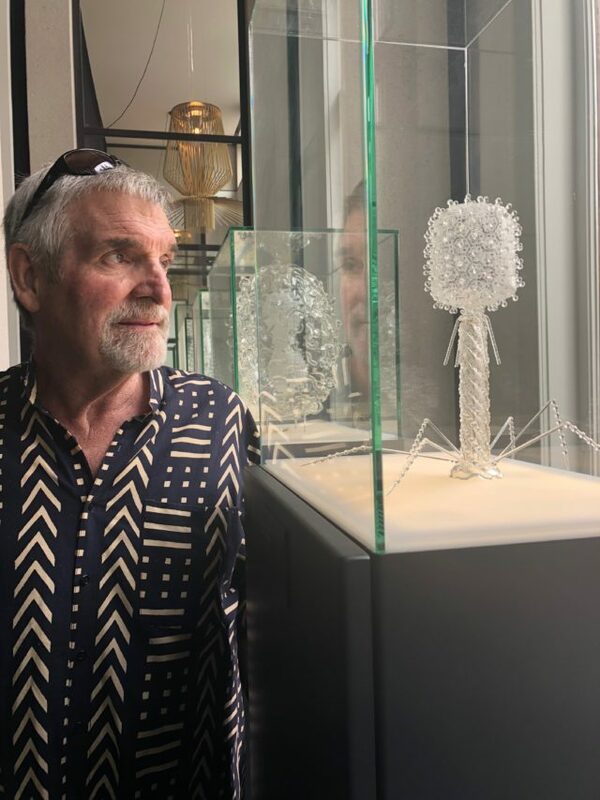 “There really is a dearth of really good double-blind clinical trials that define the efficacy of phages for treating any particular disease,” said Graham Hatfull, a professor at the University of Pittsburgh. That’s exactly what Carl Merril has long had in mind. His vision is one of personalized phage therapy, sometimes given in combination with antibiotics, each approach egging the other on. Almost everyone involved in Tom Patterson’s case agrees that if he’d been given an off-the-shelf viral cocktail, he’d be dead: Weeks after his return to consciousness, the infection reappeared, now resistant to the first batch of phages, and the Navy had to go digging into its library for more. Those subsequent doses helped him beat the bacteria once and for all. “It was phenomenal,” he said. “You might think, ‘Oh my god, this war is going on inside my body and I should have felt the ongoing battle. '” But he noticed no side effects. Now, he mostly feels lucky to be alive. The long-term Iraqibacter infection left him with some heart and pancreas damage — which, he said, might have been avoided if he’d been treated with phages earlier on — but besides that, he’s a healthy 71-year-old with a newfound belief in the power of phage therapy. What had been so alluring to the Navy scientists about the Merrils’ approach, however, is exactly what makes it so tough to carry out. The team had mostly figured out how to make sure the phages were safe before they were added to the library, sequencing to check for harmful genes, purifying away bacterial bits that could send a patient into toxic shock. Yet delivering personalized phage therapy means they need the FDA to approve not a single, standardized mixture, but the PhageBank as a whole. Their clinical trials will require hundreds of phages bottled and ready to go, so that they can rapidly test every participant’s bacterial infection, and then send out a specially concocted cocktail. It will be phage therapy, Patterson-style, but without the crazy rush. The plan is to start small, early in 2019 — a trial in 60 or so patients with chronic urinary tract infections — but the standard method for bottling viruses would take days for every phage, and they wouldn’t be able to start dosing patients for another 10 years. With jumpy investor backing, the Merrils hardly have a day to lose. So they’ve spent millions on a speedy self-decontaminating fill-and-finish robot. To get the machine into APT’s lab, they had to tear out water fountains and knock down two walls. With the constant threat of bacteria becoming phage-resistant, the team imagines the work of virus-wrangling as indefinite, a never-ending search. In this kind of company, even a task as mundane as stockpiling inventory can seem cosmic: Greg Merril envisions a warehouse with millions and millions of phages, kept in robot freezers, a constant shuffle of vials pulled out for patients and an ever-expanding portfolio of new-caught viruses added in. How this high-tech precision medicine might scale up, if approved, to the millions with drug-resistant infections, is anyone’s guess. They try to be strategic. So far, of the hundreds who have asked, they have agreed to treat 24, and have sent out phages to eight of them. These cases hold a lot of narrative weight — amputations prevented, lives saved — and although they can’t provide randomized, double-blind rigor, to a founding father of personalized phage therapy, they’re thrilling: His ideas are now coursing through bodies, bursting bacteria, clearing infections. “Carl was probably the first person to see the significance of this on a global scale,” said Strathdee, whose memoir, written with Patterson, about their ordeal, comes out this spring. Even so, his dark moods still sometimes overtake him. “It was a real attack on me,” he’ll say, remembering his trials at the NIH. He still loses himself in physics and race cars, his mind a constant buzz of phage facts and engines and the expansion of the universe. 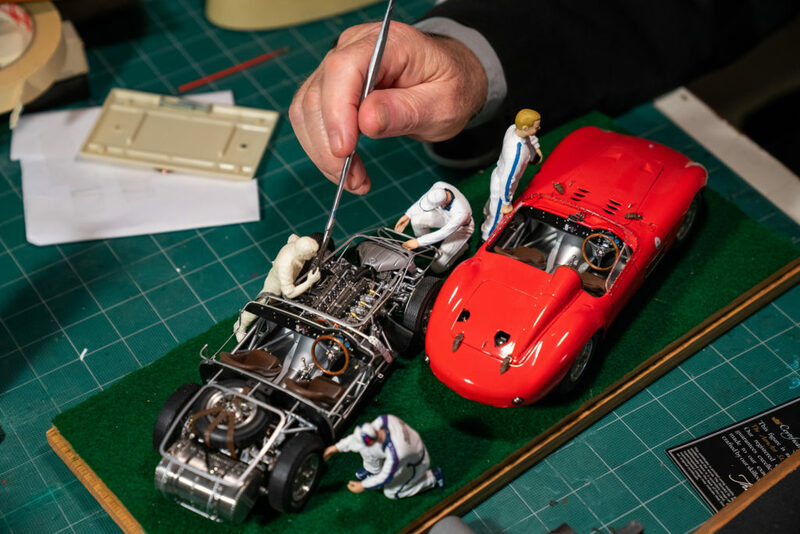 One afternoon in June, he took a remote control off the shelf where he keeps his Fix-a-Flat and cans of polish, and clicked on a CD of Ferraris racing around the track. It was inaudible at first, a noise so distant that you might not believe it was there. But it grew, steadily, at once a whine and a rumble, like a 400-horsepower mosquito — and it disappeared again, so fast you might have imagined the whole thing. Then, tiny at first, it started to reappear. Just then, his cellphone rang. The sound was almost laughable after the soul-shaking growl of cars hurtling along a track. Merrill answered on his Apple Watch, bringing his wrist up to his face. It was the APT lab manager. His voice echoed, tinny, into the cavernous space of the garage. He was calling about a patient in Baltimore with antibiotic-resistant bacteria proliferating in his prostate. Did Carl know how much virus to send? Dr. Carl Merril and I were classmates at Georgetown Medical School in the Class of 1962. I forwarded the article to several other classmates and several of those are seeking contact info for Carl in order to rekindle what has been lost in the intervening 56 years. Are you willing/able to help? ——– this sounds like a perfect cup of tea for Bio-Rad . . .
bill gates might support continued research on phages. bravo! Great article. Am planning to use it in my public health ethics course and expect some good discussion. Good approach to combat the diseases both in animals and human as a veterinarian is attached with the work. Artificial Inteligence(AI) may make this practical and cost effective. This could be operated like an Amazon warehouse with the phages stored randomly and a robot picking them and sending them to the shipping station. What a fascinating subject, history, and article with heartening but intricately complicated prospects! Congratulations on the research, time, and effort you put in to produce such intriguing and readable science. I’m left imagining potential interactions between phage science and many discrete fields (such as cancer treatment) that might be combined to find breakthroughs!